Taking place at the Parliament in Strasbourg on 20-21 May, the European Youth Event (EYE) will be a unique opportunity for 7,500 young Europeans to make their voices heard. At a time when Europe is facing crises on many fronts participants, all aged 16 to 30, will exchange ideas and perspectives on the EU's future and other youth-related issues. As a follow-up, a report with the ideas discussed at the EYE will be presented to MEPs. Follow #EYE2016 for all the news in the run-up to the event. 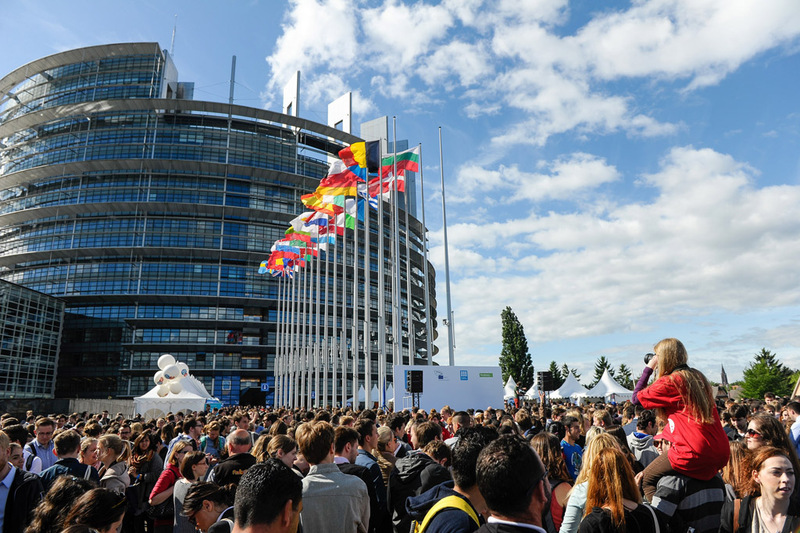 In order to create an opportunity to exchange ideas and develop innovative solutions to crucial questions for the future, the European Parliament opens its doors this May to 7,500 young people from across Europe. The second edition of the European Youth Event brings young Europeans together with European decision-makers and feature high-level political and educational activities. Collapse or Success: new ways for a sustainable Europe. More than 150 activities will take place while more than 50 youth groups and organisations will help to organise about half of these activities. Ideas by participants could even serve to inspire MEPs as they will be discussed by several parliamentary committees this autumn. Those attending EYE not only come from all EU states but also from candidate and neighbouring countries. In a welcome letter to participants, EP President Martin Schulz wrote: "With your contribution to a vibrant European democracy, you will make the difference in the future. This leaves me optimistic regarding the huge tasks in front of us." Along with key political issues, the programme will touch upon culture, science and societal change. Among the confirmed guest speakers are Denis Mukwege, Sakharov prize laureate 2014; Ensaf Haidar, wife of 2015 Sakharov prize winner Raif Badawi; European Employment Commissioner Marianne Thyssen and Italian astronaut Samantha Cristoforetti. EYE will not be limited to those in attendance; young people across Europe will be able to participate online. Young Europeans can use the official event page on Facebook to discuss EYE-related topics. Participants can also keep up to speed with the hashtag #EYE2016 and by downloading the EYE app by clicking on the links to the right. Click here for more information on EYE 2016. Access to video: European Youth Event: "Together we can make a change"
The European Youth Event (EYE) takes place at the European Parliament in Strasbourg on 20-21 May.